Today’s perfume is Guerlain’s Insolence. I’m feeling like outrageous violets again. 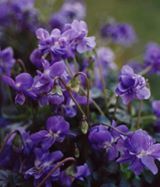 “But,” you say, “what about violets can be outrageous?” I’ll reply that you must be thinking about North American wild violets. I’ll admit that their fragrance is so light as to be nonexistent. 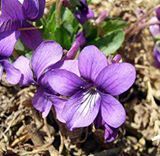 But the Parma Violet grown around the Mediterranean is so overflowing with fragrance and petals that she is outrageous and insolent… just my kind of gal. And perfect for perfume. Lingerie is Dita’s Savoir Faire quarter cup bra with lace overlay and matching knickers.